Everyone, it seems, loves Apple – including scammers. 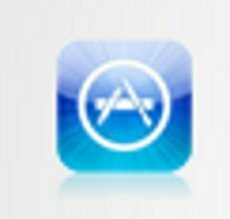 One of the latest scams to gain traction on the Internet is aimed at Apple App Store customers. Scammers are reportedly sending out messages telling consumers that a recent order at Apple's App Store has been canceled. The message appears to be going to email recipients at random. Those who aren't App Store customers will instantly recognize it for what it is and delete it. But the actual Apple App Store customers who get the email might fall for it. The email contains a link that is supposed to take you to the Apple App Store to review your order information. However, if you click it you will end up at an online drugstore. An earlier incarnation of the ploy instructed recipients to click on a link to learn details about the iPhone 5, Apple's presumed next-generation smartphone which has yet to be released. Aside from the inconvenience, it isn't clear if the scam is any more sinister than that. The security software firm F-Secure, which initially highlighted the scam, said the diversion does not seem to infect computers or download any malware. Scammers increasingly have turned to advertising programs that pay them a small amount for every visit to a certain site, or for every survey they get Internet users to fill-out. Many fake emails and Facebook postings now appear to have that as the ultimate objective. Meanwhile, Graham Cluley, Senior Technology Consultant at Sophos Security, passes along a warning from security researcher Joshua Long, who says the App Store has not published the latest versions of many apps, even though the updates address critical security issues. For years, Apple users have not had to deal with the scams and malware issues that have always plagued Windows users. With Apple's new higher profile and popularity, that may be changing.